At first glance, this could bring several things to mind. It could bring the cute lion cut on the Persian down the street. Or maybe it awakens your worst nightmare as you envision yourself covered in blood from being scratched by the freaked out feline you are considering shaving. While this practice has become more popular over the years, experts advise that cat shaving should only be done to address health issues. With that said, let’s address the factors involved in your decision to attempt this feat at home. Is it okay to shave a cat? Even with the warnings from the experts, it actually is okay to shave the cat, but it is something that needs to be given some careful consideration. Cats have skin that is substantially looser fitting than the skin of humans. When you undertake the task of grooming or shaving them, careful attention must be paid to these folds so that the animal does not suffer from needless cuts. You should never use clippers that are for humans. There are a number of great products available that are specifically for use on dogs and cats. If your cat is a breed with short hair, there is very little likelihood that the cat will develop mats. They have enough insulation for both summer and winter in their coats. Shaving them would do little more than open the door for them to have future health issues. Why would you shave a cat? Shaving a cat is normally done in a very few scenarios. The growing trend towards styling kitty with a lion cut might look strange to some and adorable to others. In some cases, shaving could be rescuing the animal from painfully matted fur that might occur with long-hair breeds as a result of poor grooming or lack of grooming. Skin conditions and injuries would also warrant shaving; however, those situations would best be done by a veterinarian. Most groomers do offer services related to grooming cats, and there is no accreditation available for those groomers who choose to specialize in grooming cats. There are some legitimate health reasons to shave a cat. You just need to be prepared for anything that might transpire during the home grooming process. The Wahl ACRO Professional Clipper is the priciest option. In this case, you really are getting what you pay for. 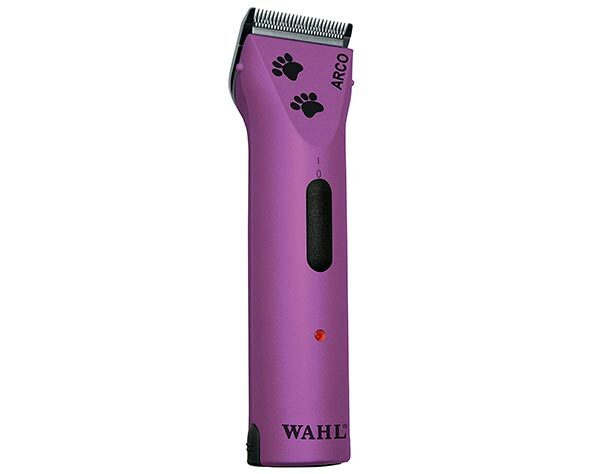 While Wahl offers several different models, the ACRO is more highly recommended for shaving a cat. This model is lightweight and easy to use. The kit comes with two battery packs, 4guide combs, a storage case, charging stand and charger, a cleaning brush, and oil for the blade. There is also a convenient instruction book included. If you feel that you need more substantial guide combs, Wahl does offer a stainless steel comb option that you can buy separately. The Wahl brand has been around for many years. They are high quality and are quite quiet as well. They have a patented 5-in-1 blade that adjusts between its sizes with a simple flick of the switch. These are the clippers that are preferred by groomers specializing in cat shaving. Drawbacks of the Wahl are the fact that the head of the clipper heats up in short order. By taking breaks every hour, you can avoid this problem. While there are two batteries, there does seem to be a shorter battery life than some of the other cordless options. The Nicewell Low Noise Electric Grooming and Trimming Kit boast a low price option for the novice home groomer. It comes with 4 guides, combs, oil, and a USB charging cord. This clipper is known for having sharp stainless steel, titanium, and ceramic blades. It comes with 4 guide combs of varying sizes. It is known to be one of the quieter models. It is an inexpensive option for the beginner. The Nicewell clipper does not come with a charger, just the USB adapter cord. This brand is known to get hot in about an hour so it is recommended that you take 10 minutes breaks every hour you are using it. The guides that come with this model tend to be on the narrow side and can jam up easily with the hair. 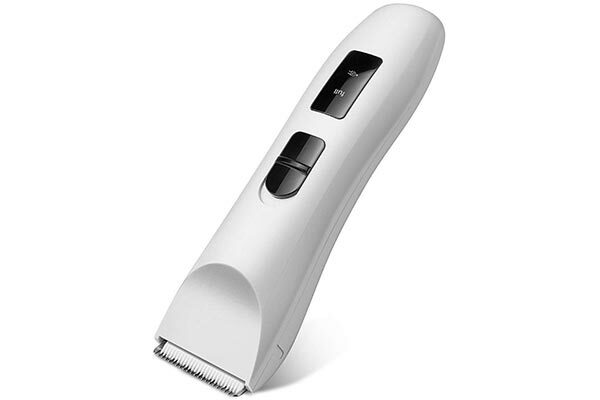 This shaver is also known to have a motor that is somewhat weaker than others. The ENJOY PET brand Professional grooming clippers are a relatively inexpensive option considering all of the positive aspects of this product. The kit comes with 3 guide comb attachments, a stainless steel scissor, stainless steel comb, cleaning brush, and AC adaptor. This brand is known for having a battery that, once charged, will last for more than 4 hours. It has a titanium ceramic blade that boasts more teeth and is proven to be more effective. It is an extremely quiet model with a motor that is powerful enough to reduce clogging during the grooming experience. It is known for the clipper itself remaining cool to the touch for a longer period of time. This package is the absence of blade oil. The blades are not replaceable. This clipper is not recommended for cats with coarser long hair and is inefficient for the removal of severe matting. 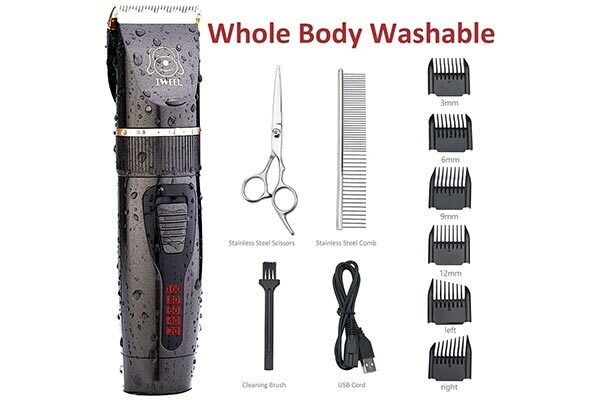 The IWEEL Professional Rechargeable Cordless Cat Shaver is completely waterproof. It is rechargeable and low priced. 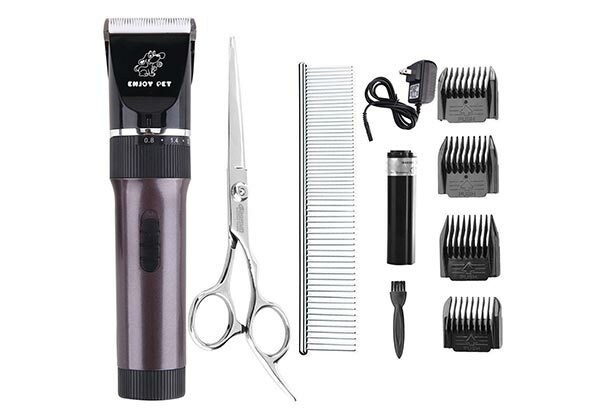 This clipper set comes with a stainless steel comb, stainless steel scissors, 6 guide combs, a cleaning brush, USB cord, and user manual. Once fully charged, the battery will last approximately two and a half hours. The blade is a fixed titanium blade that has a moving ceramic blade. This unit does not come with blade oil or a USB charger. While it is considered waterproof, it cannot be completely submerged. Sminiker Professional Rechargeable Cordless Clipper Set is another low-price option that offers a complete set of tools for your grooming needs. 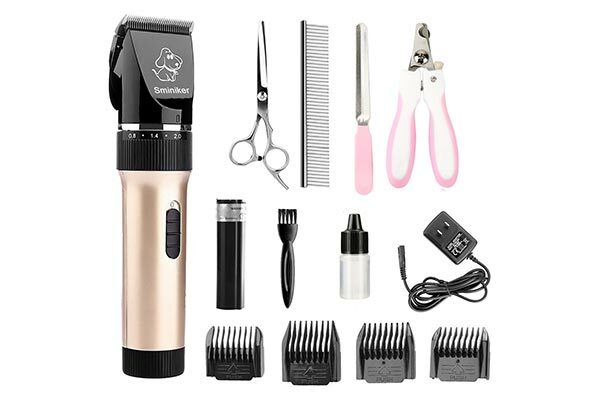 Each set includes the electric clipper, nail clipper, nail file, stainless steel scissor, stainless steel comb, cleaning brush, 3 guide comb attachments, an AC power adapter, and instruction manual. This model is very low noise and is known to stay cool to the touch. It also boasts 5 to 6 hours of use per charge. This product will jam when the guide combs are changed, and the level of power does not always allow for consistency. There is no blade oil included with the kit and will need to be purchased separately. How do you shave a cat with clippers? Set up your grooming space by spreading out towels on a table or counter. Have extra towels standing by and make sure that you dress appropriately by covering both your arms and your legs. This will keep you protected from teeth and claws. The first step to shaving a cat with clippers is taking the time to trim their nails. This will serve as not only a part of the grooming process but will also make it so that the human doing the grooming experiences less blood loss than the worst case scenario may provide. It is a good idea to have treats available or to set a serving of wet food in front of your cat to distract them from the grooming process. If this is the first time you have ever groomed your cat, you may want to take the time to get them accustomed to the noise made by the clippers themselves. To get them accustomed, let the clippers run near them a few times before your planned day of home grooming. You will need to give him or her a bath before you begin the shaving process. Make sure that you use a shampoo specifically formulated for use on cats and rinse your pet well. Make sure that you thoroughly dry him or her off with a towel. While it can prove somewhat traumatic to the kitty, using a blow dryer on the lowest setting can help dry the fur. For some cats, allowing them to groom themselves for a few minutes following their bath can serve to calm them. Brush your cat’s fur thoroughly before you begin the shaving process. This will make their hair easier to cut and can also serve to minimize the matting that many long-haired cats experience. It can also serve to relax your cat. Do not attempt to do the grooming alone the first time. It is best to have a second person there to hold the cat while you are shaving it. This is most likely good advice for every attempt at shaving the cat until you are both accustomed to the practice. There is more than one school of thought on how to immobilize the cat during the actual shaving. While holding the cat by the scruff at the back of the neck is relatively common practice, it can also prove to be traumatic if the cat has never been groomed before. It is best to calm your cat as much as possible throughout the process. If your cat is normally on the mellower side, then the lap method might be more effective. With this method, you can simply and gently hold your cat in your lap and use the shaver in a brushing motion that can almost be enjoyable to both of you. If the lap method is not an option, then have your assistant either hold the cat by the scruff or gently hold the cat down. If you are shaving to get rid of mats, you will want to gently start working on each individual mat. Since the skin is so loose and delicate, you will need to gently hold the skin taut as you begin to work on the knots. Make sure that you use one of the guides that came with the clipper. If the cat is uncomfortable and moves around too much, it will probably be a good idea to take frequent breaks. Talking to your cat throughout and even handing out treats can make the process easier on everyone involved. Before you go after their coats with clippers, it is best to gently trim the fur with a pair of scissors first. This is especially important with long-haired cats as it will decrease the time where you are using the actual clippers. This will also provide longevity to the actual blades. Once you have settled in and have all of your tools laid out, choose the best guide comb for your cat shaving project and attach it to the Clippers. These plastic guides usually come in four to six different sizes to accommodate the length of hair that you are working with. Once the guide comb is attached, it is time to turn on the clippers and very gently, starting at the neck, make long strokes with the clipper from his neck to the base of his tail. Check the blades and guide frequently so that the fur does not clog the process. Pay attention to the clippers themselves as many brands will get quite hot after a short time. If this happens, take a break until the Clippers have cooled down before you start grooming kitty again. Use a small brush to clean the blades and guides during the grooming session. Make sure that you oil the blades lightly to keep them sharp. Try to avoid the tail if at all possible. The fur that grows on the tail tends to take much longer to grow back than that found anywhere else on the body. It is best if you don’t restrain the cat by the tail if possible. If absolutely necessary, be very gentle as most cats become quite anxious and trouble when they are unable to move their tails. Kitty’s tummy should be the last thing you shave. He or she might not be amenable to this process. As a rule, cats will protect the area of their tummies as much as possible. If he or she shows his or her tummy and wants to be rubbed or scratched there, it is actually a sign of love and trust on the kitty’s part. Shaving can be quite traumatic to your cat which is why, overall, it is preferable to only do so when medically necessary. Can I shave my cat to stop shedding? Shedding will happen no matter what you do. The best way to keep shedding at a minimum is to brush your kitty regularly. Once they become accustomed to being brushed, this can become a loving daily ritual enjoyed by both of you. While the experts do not recommend shaving in general, if the shedding issue is making it so that your kitty is developing mats, then shaving the cat can become a medically necessary option. Do cats like being shaved? 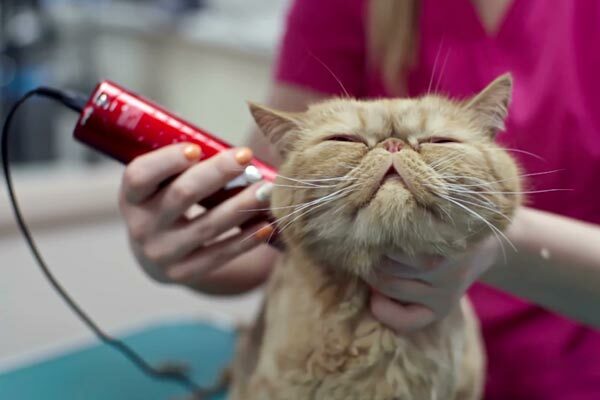 If your cat is accustomed to visits to the groomer, then it is possible that some may enjoy the shaving experience. You could consider yourself quite lucky to have your cat enjoy the experience if your home attempt is his first shave as well. The level of their enjoyment will come from you as much as from them. If approached right, you just might get lucky. How do I shave a cat who hates it? If a cat truly hates being shaved, it is probably best to reconsider the plan to do so at home. Taking the cat to a groomer or the vet would probably be less traumatic for both of you. If it is medically necessary, your veterinarian will sedate the cat prior to shaving him. You check also the Top 5 Ways to Sedate a Cat for Grooming. 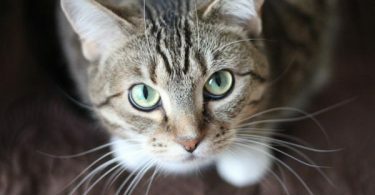 Will my cat overheat in summer? The fur coats on cats and dogs actually serve to insulate against cold during the winter and heat during the summer. By shaving them, you are actually interfering with their natural ability to remain comfortable. For those breeds with longer hair, it is okay to trim their hair during the summer but shaving is not recommended. Shaving can open the animal up to a sunburn. Hair follicles can become ingrown and infected. The other dangers can also exist as a result of depriving them of their natural insulation. If you do find yourself in a position where the cat has to be shaved during the summer heat, make sure that they have plenty of water available. When cats are without the natural insulation of their fur, they can easily become dehydrated. There are a number of pros and cons of shaving a cat. If you are already spending money taking your cat to the groomer on a regular schedule, then your cat is used to the process of being groomed. If your sole purpose of taking your cat to the groomer is for bathing, de-matting, and/or a general trim, then, by all means, you should try to do it at home. The easier the cat, the easier the process. If you are taking them in for a decorative lion cut and for no other reason, then you should most likely take to heart the veterinarian warnings and consider the real and healthier alternatives. If your cat is an outdoor cat, it is best if you don’t shave them. Depriving them of their fur coats takes away some of the protection that kitty naturally has. If you do have good reason to continue your plan to shave your cat, then you will need to purchase clippers that are specifically recommended for use on cats and not just on dogs. While we once again need to stress that shaving a cat should only be undertaken for medical necessity, there are some really great products out there if you choose or need to do so at home. By brushing your cat regularly, many of the problems such as severe matting can be avoided. If your cat is an indoor cat, there should be no need for a shave. If your cat has long hair or is allowed to roam outdoors, then there might be a greater need for mat removal. 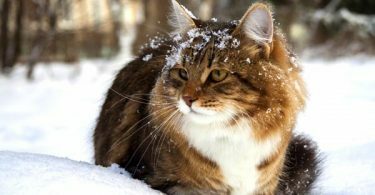 It is important to remember that if you do have an outdoor cat, it is even more important that their coat is preserved for both insulation and natural protection. Outdoor cats will, however, need to be bathed more frequently. Cats are known to be voracious groomers of their own accord. If their grooming habits begin to fall off, it can be the sign of health issues and a veterinarian should be consulted. A veterinarian should also be consulted if the matting is out of control, your kitty develops skin conditions, or is wounded in any way. If your cat is too aggressive to be shaved, then you should leave the process to the veterinarian so that it can be done under sedation. When it comes to shaving the cat, if you are doing it in the cats best interests, then it is fine to do so. Remember that their skin is very different from that of a human. Not only is it looser, but it is also very thin and delicate and can be easily cut. For your first time, you really don’t know what to expect. Make sure that you take the time to adjust the cat to the sound of the clippers before you attempt to shave them. More importantly, don’t ever forget the all-important first step of trimming their nails. This is a YouTube video about home grooming.